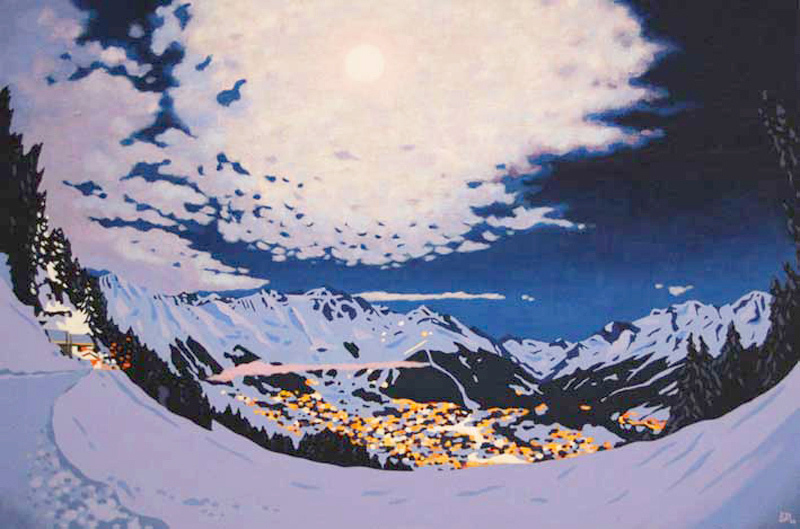 A giclée print of an original painting of Verbier, Switzerland during New Years Eve celebrations. The size describes the paper size, not the image size. 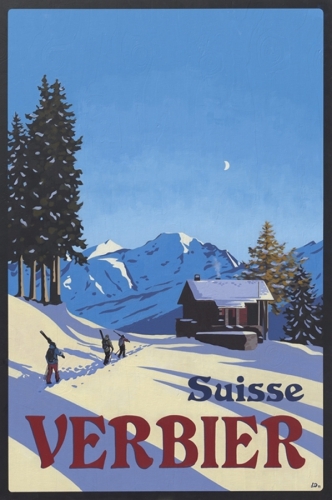 All of the images are printed with an approx. 5 cm white border around the edge.